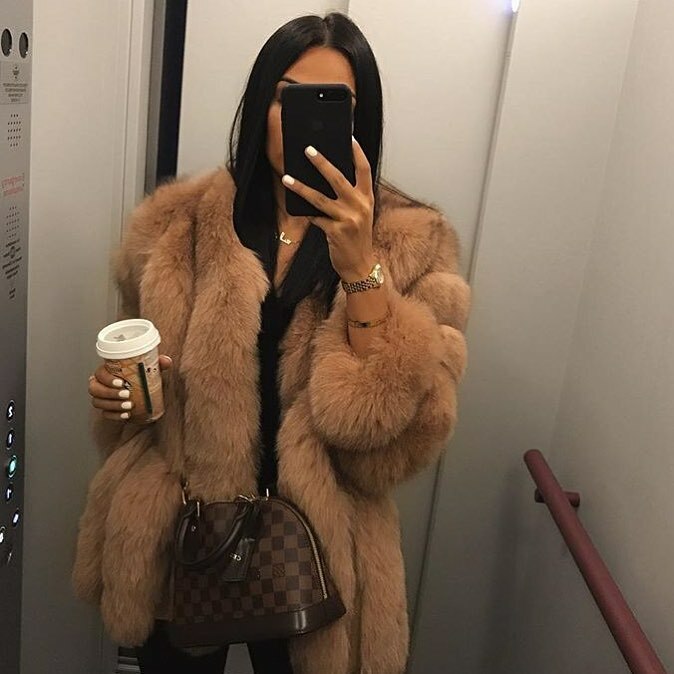 Yes, you can wear fur jackets during Spring season months. Here we see a beautiful cream brown fur jacket layered over the black combo. I do recommend giving it a try. Complete the look by adding a luxe shoulder bag and some fancy jewelry.